Why Queen Creek Middle School? Welcome to Queen Creek Middle School, where we continually strive for excellence in education. It is our firm belief that our students can, and do make a difference. Our school is located in Queen Creek, Arizona and serves over 600 sixth through eighth grade students within the Queen Creek Unified School District. We enjoy an active Parent Teacher Organization and are grateful to the many involved parents and community members in Queen Creek. Our excellent faculty and staff dedicate their time and energy to help students succeed. Our students are able to participate in many different programs, sports teams, music, and other school clubs that allow them to excel in many ways. 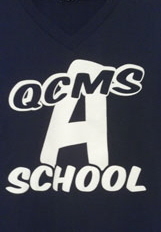 AZ-STEM School Community of Practice recently selected QCMS as one of only 57 Arizona schools accepted into their first cohort of schools! This enables us to partner with SciTech, Intel, Arizona Science Center and Maricopa Education Service Agency. Our excellent faculty and staff dedicate their time and energy towards helping students succeed. 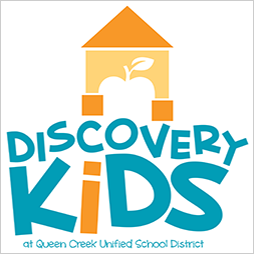 We enjoy an active site council and are grateful to the many involved parents and community members in Queen Creek. Each grade level administers formative tests every one to two to measure specific objectives taught in class and to assess mastery of Arizona State Academic Standards. Queen Creek Middle School's performance standard is based on 80% mastery. Each grade level develops five questions per objective for the formative assessment. Depending on whether the student is above or below 80% determines whether they will attend a reteach class or an enrich class. Students attend these classes daily from 2:55–3:25 p.m.
Students take the formative tests throughout each school quarter, and we use these results to reassess the skills taught for each benchmark. We administer benchmark assessments quarterly. These tests provide immediate feedback to the teachers to improve instructional practices. In some circumstances, we utilize the after-school homework club for students who fail to meet mastery standards. Benchmarks are quarterly assessments given to all students. All benchmark assessments are constructed by Assessment Technology Incorporated (ATI) and are aligned to the Arizona State Academic Standards required for state testing. Once the data is received for the quarterly benchmark, we determine the performance of each student, each class, and each grade level to determine which students are meeting the standards, approaching the standards, and falling far below the standards. This data allows us to determine the effectiveness of the curriculum and instruction implemented in the classroom. Based on quarterly data, teachers modify their instruction to increase student achievement. 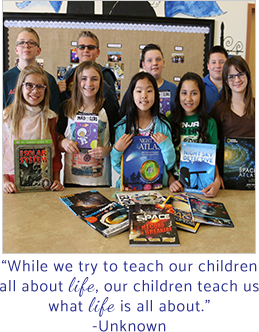 The purpose of the school library media center is to provide developmentally appropriate instructional materials and recreational materials so that each student has the potential to develop to the best of his or her ability. The collection will support the curriculum in all disciplines as well as provide a common body of knowledge. The QCMS Library opens at 8:30 a.m. and remains open throughout the day until 3:20 p.m. We encourage students to use the library as much as possible. A student is responsible for replacing lost or damaged library/textbooks at the cost of a new replacement purchased by the school. We will allow students to check out two books a week. Students must return both books in order to check out new books. Please contact Heather Gilbert, our media aide, if you have any questions.